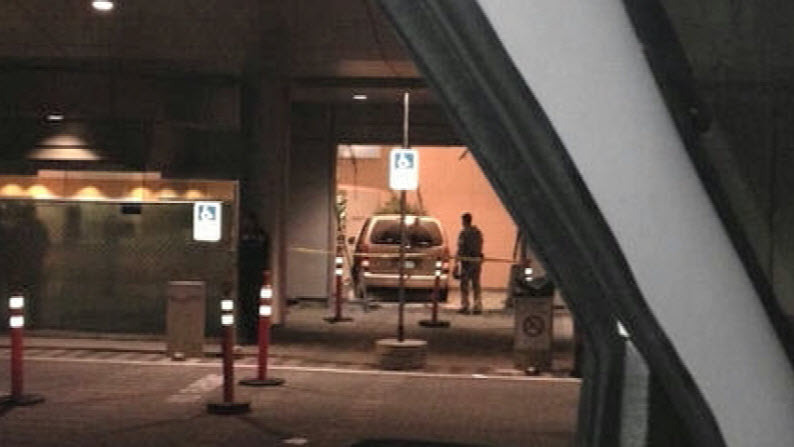 A minivan driver who was reportedly driving erratically crashed into the plate glass window of Valley Medical Center in San Jose early Friday morning, ending with the driver landing in the hospital as a patient himself. Hospital administrator Jackie Lowther said the driver should be OK, and she didn't know what caused him to drive into the lobby - also injuring a janitor - about 4: 15 a.m. at the Bascom Avenue entrance. As dawn broke, the van had been towed away and hospital crews were busy cleaning up the shattered glass, and a flower display.